It's the hottest day of the summer. You can do nothing, you can do something, or you can...Do the Right Thing. Directed by visionary filmmaker Spike Lee, Do the Right Thing is one of the most thought-provoking and groundbreaking films of the last 20 years. The controversial story centers around one scorching inner-city day, when racial tensions reach the boiling point in a tough Brooklyn neighborhood. 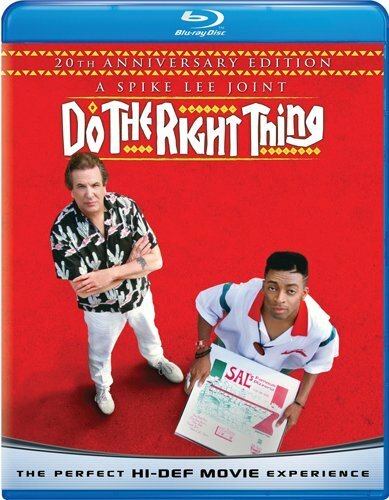 Featuring over four hours of bonus features, a digitally remastered picture and new 5.1 surround sound audio, Do the Right Thing 20th Anniversary Edition captures an unforgettable piece of American history.